An article Paddy wrote for The Spectator about his alarm at hearing of the possible piecemeal sale of the The Trumbull Papers and their subsequent salvation. The Trumbull Papers are an archive including letters from James I, Charles I and II, Sir Francis Bacon, John Donne, Samuel Pepys, John Locke, John Dryden and Alexander Pope, 29 letters from Philip II of Spain, secret correspondence about the Council of Trent and much concerning the British colonies in the New World long before the American War of Independence. First published in the Spectator on 28 September 1996. And joy’d in punishment, revenge, and wickedness. And all vainglory chang’d to worms and stink and slime. Ever since reading The Three Musketeers, we have all been haunted by the Duke of Buckingham; haunted and dazzled by the satin and the diamonds and the strings of pearls, the starched lace zigzag ruff, the preposterous splendour and the panache; and when we learnt later on how this Phoebus Apollo had been stabbed to death at Portsmouth with a tenpenny knife, the horror, eerily laced with relish, was almost too much to take in. And here, in the sonnet, was a contemporary foreign poet smitten by the same astonishment: ‘G. R. Weckherlin,’ the anthology said: ‘1584-1653’. I had never heard of him; nor had anyone else. Georg Rodolf Weckherlin by Daniel Mytens, 1634. In the German-speaking world, I learnt, Georg Rudolph Weckherlin, from Swabia, was thought second only to Martin Opitz, `the Father of German Poetry’, and though some writers call him `early Baroque’, both of them really belonged to a group of late Renaissance German poets (akin to the Pleiade in France a couple of generations earlier, with Ronsard and Du Bellay as their brightest stars). He was also a scholar, a diplomatist and a courtier at the Duke of Wurtemberg’s palace at Stuttgart and travelled widely in France. Some time after 1602, he was three years at the Court of St James, and was sent on missions to Central European states and the Empire. In England again in 1616, he must often have been under the same ceilings as Buckingham. He entered the royal service and accompanied Charles on his expedition against the Scots, and soon afterwards he married Miss Elizabeth Raworth, of Dover, and took root in England. He seems to have changed sides at the Commonwealth: he became Latin Secretary, then Secretary of Foreign Tongues, to the Joint Committee of the Two Kingdoms, and held both posts until he was replaced by Milton, perhaps because of ill health. Paradoxically, he often helped the older poet when his eyes began to fail; then he succumbed to his adopted country’s distemper and died of gout. Completely English by now, his daughter Elizabeth married Mr William Trumbull of Easthamstead in Berkshire, whose deer park was part of the King’s Chase. The latter served in several diplomatic posts, most notably in the Low Countries; and his son, Sir William Trumbull, followed him in his career. Beginning as a youthful Fellow of All Souls, he made the Grand Tour with Christopher Wren, visited Tangier with Pepys, sat in Parliament for a Cornish borough, became Charles II’s ambassador at Constantinople, then Principal Secretary of State to William III, and retired at last to his Berkshire library and the company of his friends. It was Sir William who first prompted Dryden to translate Virgil, and he performed the same office for Pope by suggesting Homer to him. Kneller painted him and Pope wrote the verse epitaph on his fine tomb at Easthampstead, where he still reclines in his full-bottomed wig. I forgot all about them. But in the Times a few years ago, Miss Sarah Jane Checkland announced, with infectious alarm, the imminent sale of `the largest and most important collection of English state papers to be offered at auction this century’. They were the Trumbull Papers! The archive included letters from James I, Charles I and II, Sir Francis Bacon, John Donne, Samuel Pepys, John Locke, John Dryden and Alexander Pope, 29 letters from Philip II of Spain, secret correspondence about the Council of Trent and much concerning the British colonies in the New World long before the American War of Independence. 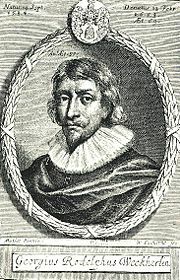 Perhaps the most exciting of all [the column went on, to my growing emotion] is the hitherto unrecorded series of papers belonging to William Trumbull’s relative, the German poet Georg Rudolph Weckherlin, Charles Is secretary from 1624 until the Civil War. These include letters, signed but not sent, from Charles to Louis XIII, Gustavus Adolphus and Marie de Medici, as well as many Royalist letters intercepted during the Commonwealth. Finally, there is a beautiful calligraphic manuscript of a still unpublished verse-translation of Book VI of the Aeneid, which Sir John Harington, Elizabeth’s `witty godson’, prepared and presented to James I, in 1604, for the young Prince Henry. At this point I was overcome, as though by an onslaught of heady gas, by dreams of grandeur. I would try to help save the Papers! After all, not every millionaire was an illiterate philistine. My mind’s eye evoked a rich, unknown and hypothetical humanist, steeped in concern for the country’s treasures. As he was only conjectural, the approach would have to be indirect. It all ended happily, and fast, but not at all as it was planned. News suddenly came that the owner had solved the whole problem with impeccable generosity and public spirit, and all the treasures were safe. The piece, of course, never came out, the putative benefactor dissolved into the shadows and I suffered from a touch of the flatness Raleigh might have felt if the Queen had preferred a convenient plank. The anticlimax, bit by bit, gave way to exhilaration at the thought of the brimming deed-boxes, the crackling tiers of parchment, the faded pink tape, the hundreds of broken seals and all the mystery and the dust. The improper jokes of Harington cheered the air, and Buckingham’s ruffling plumage, and the thought of classical tags bandied by candlelight round Sir William’s table. I was buoyed up, above all, by adumbrations of Weckherlin, backed by youthful memories of the arcaded castles of bookish Stuttgart, and the vineyards and the ricks and the beetling oakwoods of Swabia: the landscape, after all, of the earliest sonnets and sestinas ever to be heard beyond the far bank of the Rhine and to the north of the Black Forest and the Danube. Sich die torichte Leut stets haufenwies begaben. Und pflag sich mit Rach, Straf und Bosheit zu erlaben. Verkehrend seinen Pracht in Kot, Wrm und Gestank. 3. Paste your url into box that appears and hey presto you will get a previewed page to print or pdf! This entry was posted in Magazine Articles and tagged A Time of Gifts, Patrick Leigh Fermor on October 31, 2010 by proverbs6to10. Not sure (book not to hand) but strongly believe this article is also in “Wings Of Mercury”.